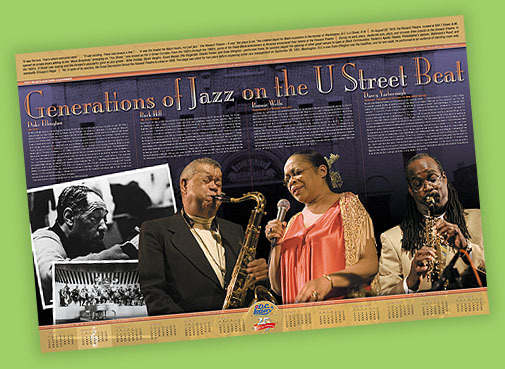 Black History Month calendar poster featuring some of the most prestigeous Jazz musicians from the DC area. Pictured from left to right: Duke Ellington, Buck Hill, Ronnie Wells, and Davey Yarborough. My poster design was unveiled at a DC Lottery anniversary celebration that included live performances by Buck Hill and Davey Yarborough.